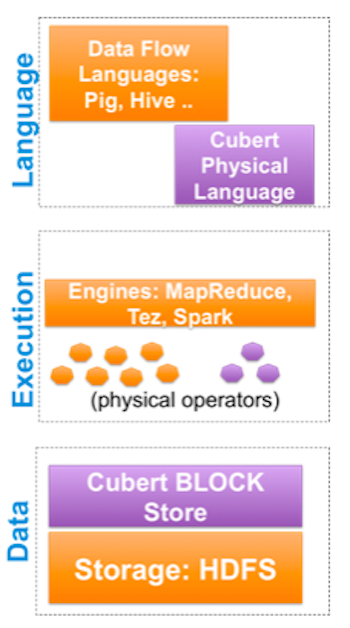 With Cubert running on top of Hadoop, the new framework can abstract all of that storage into blocks of data that makes it easier to run its resource-saving algorithms as well as operators that help engineers better manage that data. For example, the COMBINE operator can combine multiple blocks of data together and the PIVOT operator can create subsets of data blocks. LinkedIn also created a new language called Cubert Script, the purpose of which is to make it easy for developers to play with Cubert without having to do any sort of custom coding. After being processed, the data then flows out to LinkedIn’s Pinot real-time data analytics system, which the company uses to power its many data-tracking features, like discovering who recently looked at a user’s profile. Now that Cubert is hooked into LinkedIn’s infrastructure, the company no longer has to worry about Hadoop scripts that end up “hogging too many resources on the cluster” or take hours to do what they’re supposed to do.